Sweet, tart tasting plums are one more fruit you may enjoy eating and has beauty benefits for your skin and hair. This anti ageing powerhouse with pleasant aroma is just behind strawberries in the amount of antioxidants. Using plums regularly or moderately in your diet or topically is very effective and natural way to treat skin problems like acne, dry and rough skin. Plums are also a good way to keep wrinkles at bay and protect skin from sun damage, since collagen deficiency can be managed with a diet rich in antioxidants. You can treat skin discoloration or reduce the appearance of scars or age spots by rubbing fresh plum peel on the affected areas. If you want to have a strong and thick hair, getting rid of dandruff or prevent premature greying, you should incorporate this natural home remedy known as plums in your diet. Instead of investing in expensive creams or going for surgical methods to remove those nasty scars you can try to minimize them. Eating plums might help reduce the appearance of scars from surgery or injury by increasing the blood flow to the scars. No one is really immune to dandruff, one of the most common hair problems, and it can be very annoying and embarrassing, therefore, it is necessary to get rid of dandruff as soon as possible. If you’re wondering how to remove dandruff naturally, maybe you should try to address the root cause of the problem, your diet. Because they are rich in vitamin C and iron, eating plums is natural way to remove dandruff without seeking a dermatologist’s help. Those two vitamins are going to keep dandruff under control by increasing the circulation of blood on the scalp and fighting bacteria present on the scalp. 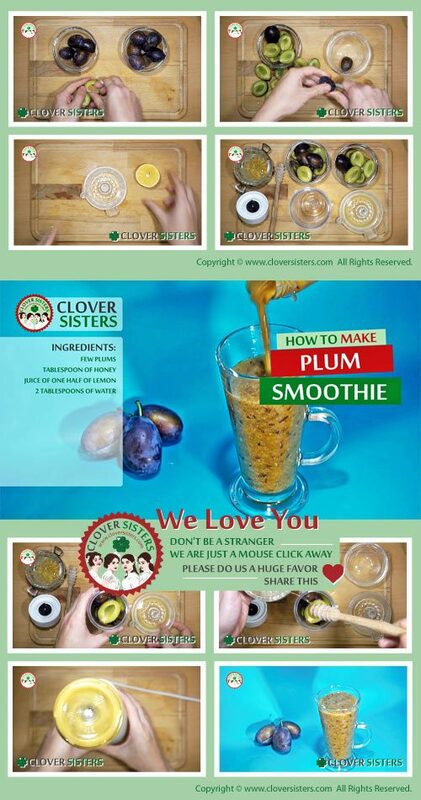 Add a few plums, one tablespoon of honey, juice of one half of lemon and 2 tablespoons of water in blender and blend it. Drink it daily.